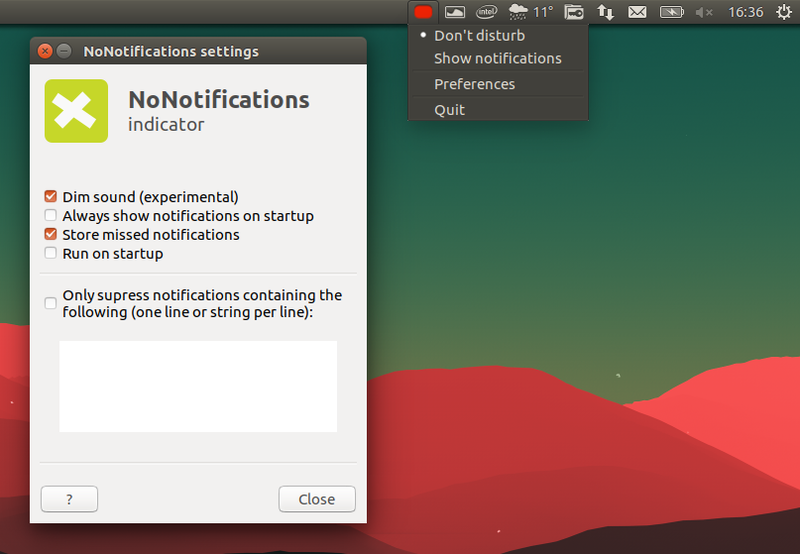 NoNotifications is an Ubuntu indicator for temporarily suppressing NotifyOSD (which is used by Unity) notifications. This can be useful for presentations, when working, and so on, to prevent unwanted notifications. The indicator was completely rewritten recently, bringing some new features. 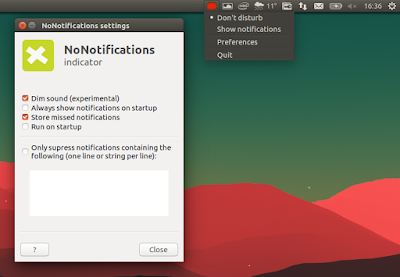 With the new version, there's an option that allows you to only suppress notifications containing specific stings, useful to quickly disable notifications from certain sources. As an example, you could block new message notifications in Pidgin for some specific contacts, while allowing the rest. Another new feature in the latest NoNotifications is an option to store the notifications missed while the "Don't disturb" mode was enabled. 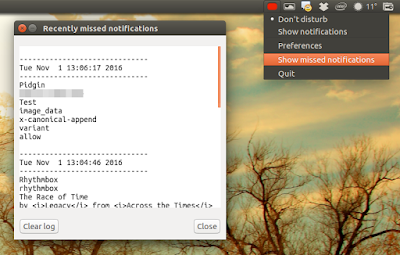 These notifications are stored in ~/.config/nonotifs_prefs/notificationlogs . The missed notifications feature still needs some work, because right now it stores some extra information that's not useful for the user, like the application icon name, and more.